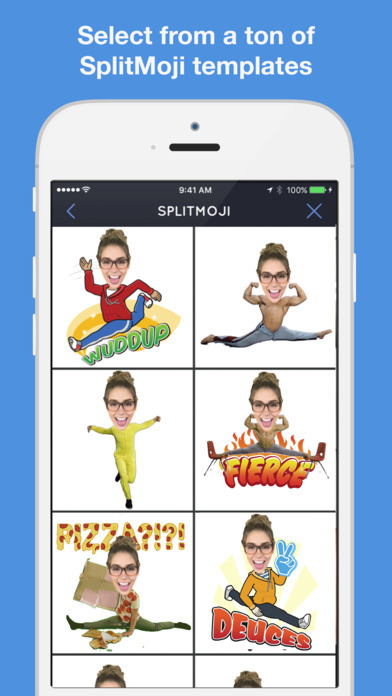 Become flexible and enhance your texting with SplitMojis! 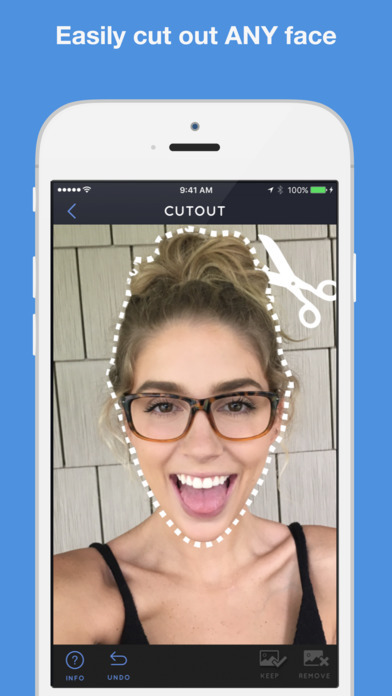 Use the first EVER custom emoji and GIF keyboard that lets you create your own flexible + textable emojis, stickers, and GIFs. Step 1: Cut out a face. Your face, your friends face, your dogs face any face! I've been sending them to my sister and she is getting so mad that she doesn't know how to do it, she just got an iPhone and thinks I know something she doesn't…. Logan's snapchat story inspired me to buy this app and I'm so happy I did! My friends always wanna know how I did this and find it so funny! You should really download this app!